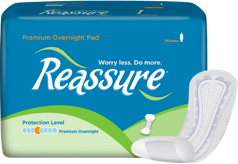 Our New Reassure Premium Overnight Pad is ideal for those who need a good night's rest. 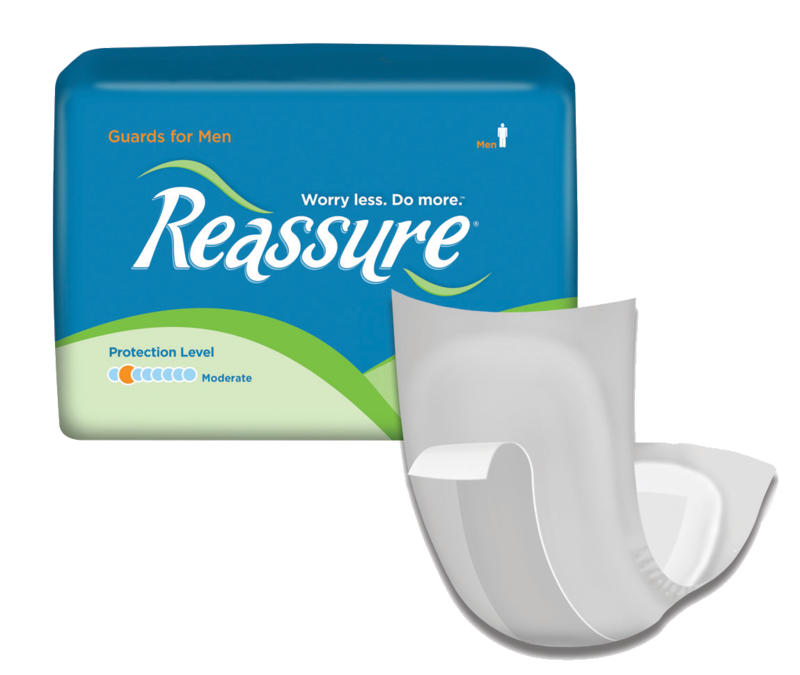 The generous hourglass shape and gentle side gathers provide comfortable protection, while a generous amount of Gel-Dry Polymer locks away wetness and neutralizes odors. 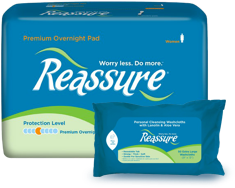 Premium protection without the premium price! 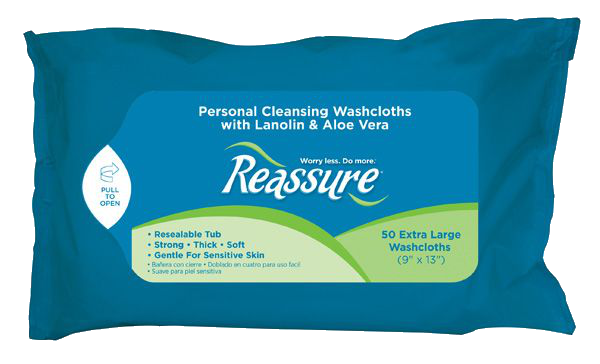 An advanced core design and Gel-Dry Polymer quickly locking away wetness and neutralizing odors. Generous hourglass shape for added coverage. Soft, cloth-like backing is quiet and won't disturb your sleep.